AS220 Galleries is thrilled to re-announce artwork by Providence, RI artist Walker Mettling. Walker Mettling – Blob Revelations (Detached Jaw), Silkscreen print on paper, Edition of 2, 8.5×11″, 2017. 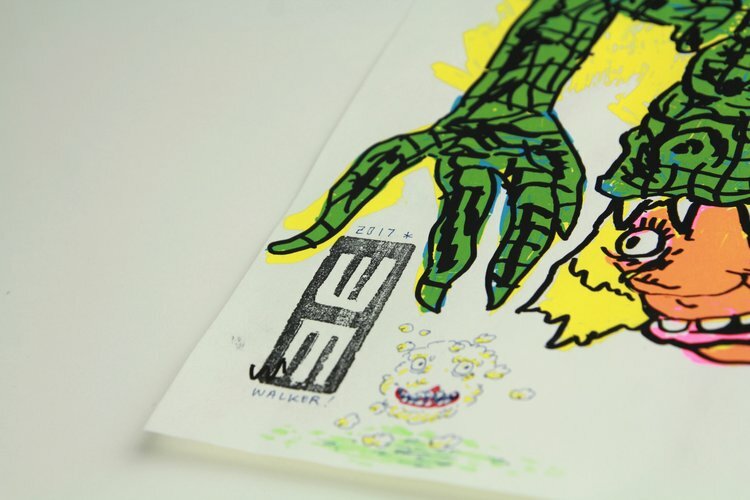 Walker Mettling is a teaching artist who makes comics, prints books, wooden figures, and designs sketchbook drawing games. He runs the Providence Comics Consortium. 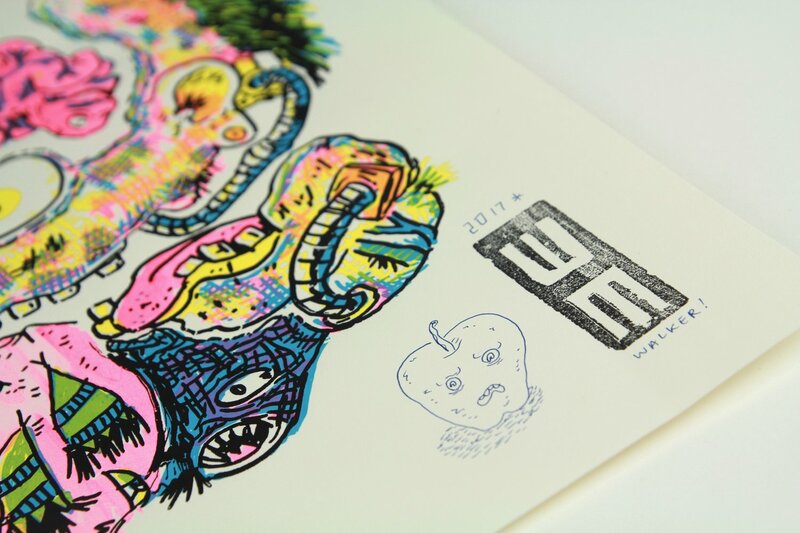 “The Blob Revelations prints came out of improvisational drawing sessions. With an empty mind, I inked lines over blobs to reveal their details. 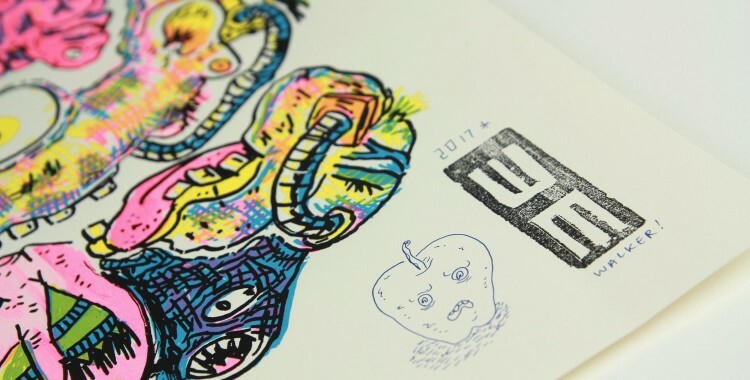 These prints are full color versions of creatures from the ‘Blob Revelations’ drawings made for a show at White Electric Coffee in 2017.” – Words curtesy of the Artist. Walker Mettling – Blob Revelations (Symbiosis), Silkscreen print on paper, Edition of 3, 8.5×11″, 2017. ← Tomorrow: FLYNT FLO$$Y + TURQUOISE JEEP!